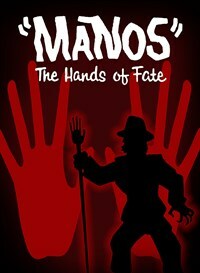 In the infamous Manos: the Hands of Fate, a family (and their little dog too) gets lost in the back roads of rural Texas and stumbles upon a hidden, sinister, devil-worshiping cult led by the fearsome Master and his hunched over man-servant Torgo. Guess roadside assistance was hard to come by. General rule: avoid abandoned homes in the middle of nowhere, tended to by weirdo midget manservants. There is a very odd subplot involving a vice squad busting teens making out in convertibles, with booze stashed in glove compartment. The film’s plot (threadbare that it is) revolves around a vacationing family who lose their way on a road trip. After a long drive in the Texas desert, the family finds themselves trapped at a lodge maintained by a polygamous pagan cult (don’t you hate it when that happens?) 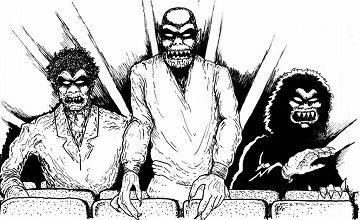 Then, they attempt to escape as the cult’s members decide what to do with them. Manos is infamous for its technical deficiencies, especially its considerable editing and continuity flaws; its soundtrack and visuals not being synchronized; dull-as-dirt pacing; truly terrible acting; and several scenes that are seemingly inexplicable or disconnected from the overall plot, such as a couple making out in a car or The Master’s wives brawling with one another. The movie, very unfairly described as one of the worst of all time is out on Blu-Ray. It makes a perfect stocking stuffer.